This YouTube video is an odd pleasure: recordings did not run for 4:08 at that time. This song was recorded in two takes, and the first half of this recording is one of the two takes and Mildred’s vocal chorus is heard twice — the two takes joined together fairly seamlessly. I don’t mind the extended play. Who would? The band is, as well as Professor Dapogny, Pete Siers, drums; Jon Burr, string bass; Marty Grosz, guitar; Bill Allred, trombone; Randy Reinhart, cornet; Scott Robinson, tenor saxophone; Dan Block, clarinet. This Dapogny arrangement allows us to hear Meyer’s melody as if presented for chamber ensemble of piano and horns, where the soloists ebb and flow, but the song takes the center stage. Dapogny’s piano is a barrelhouse lyrical dream, but his arrangement is a multilayered lovely edifice, and it’s worth listening to this track with a notepad to catch the scenery gloriously moving by. And this sort of thing will happen soon, again, at the Cleveland Classic Jazz Party. Trust me on this. If you prefer the 1932 Russ Columbo version, it’s beautiful also. At some point, JUST FRIENDS was treated less as a lament and more as a song to play on. (One could point to the Charlie Parker with Strings recording in 1949, and subsequent performances, but Bird often treated it as a medium-tempo ballad.) And that tradition — swing rather than sobbing — prevails today. I present an extended swing meditation on this song, performed on Thursday, September 10, 2015. 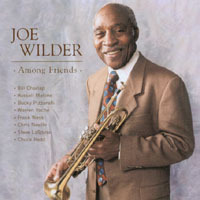 The participants, the creators, are Ehud Asherie, piano; Frank Tate, string bass; Pete Siers, drums; Howard Alden, guitar; Bill Allred, trombone; Randy Reinhart, cornet; Dan Block, tenor saxophone. That is the sort of wonderful music that happens every year at this party, whether it’s at the informal jam sessions of Thursday night or the sets on Friday, Saturday, and Sunday. This year, the Party takes place from September 15 to the 18th. A word about names. When I started attending this party, it was held in Chautauqua, New York, and was called Jazz at Chautauqua; then it moved to Cleveland and temporarily was called the Allegheny Jazz Party; now it has become mature and changed its name to the Cleveland Classic Jazz Party. You can find out more details here, on Facebook, or at the Party’s www.alleghenyjazz.org, or even by calling 216.956.0866. The Party takes place at the InterContinental Hotel and Conference Center, 9801 Carnegie Avenue, Cleveland, OH 44106. You can call 216.707.4100 or 855.765.8709 to make reservations, but be sure to use the Group Code YOO when you call or reserve online. Musicians who will be there . . . are the Faux Frenchmen, Rebecca Kilgore, Wesla Whitfield, Andy Stein, Hal Smith, Pete Siers, Ricky Malichi, Frank tate, Kerry Lewis, Jon Burr, Rossano Sportiello, Mike Greensill, James Dapogny, Ehud Asherie, Marty Grosz, Howard Alden, Bill Allred, Dan Barrett. Scott Robinson, Dan Levinson, Dan Block, Harry Allen, Jon-Erik Kellso, Andy Schumm, Randy Reinhart, Duke Heitger. Come by, hear some wonderful music, eat and drink, and make friends. and performed here at the Cleveland Classic Jazz Party (formerly known as the Allegheny Jazz Party) on September 10, 2015, by Howard Alden, guitar; Frank Tate, string bass; Ehud Asherie, piano; Pete Siers, drums; Dan Block, tenor saxophone; Bill Allred, trombone; Randy Reinhart, cornet. “Mainstream” was the term invented by jazz critic Stanley Dance to describe this easy, uncluttered, floating kind of improvisation — a music that had carefully dismantled all the boundaries created by sectarian listeners and journalists to take a wide-ranging approach to jazz without ruling anything out if it drank deeply of melody, swing, and harmony. Hank Mobley and Buster Bailey could talk about reeds; Tommy Benford and Art Blakey could discuss calfskin versus plastic. You get the idea: a sweet world that no longer saw “Dixieland” and “bebop” as hostile antitheses. Music of this free-breathing variety happens all the time in the places I frequent, but one of the most comfortable places for it is the Cleveland Classic Jazz Party, which will happen again this September 15-18, 2016. Get in the Main Stream. If you are reading this in the Northeast United States, you might be coming out of a sustained depression caused by several weeks of snow and cold. It’s all melting, and I feel a thaw in my psyche. There’s something about seeing the sidewalk that gives me hope. What better way to celebrate our survival — that we didn’t have to break open the pemmican — than with some free heartfelt jazz coming tomorrow, Monday, March 9, at 7:30 PM, in New York City? I said free. But you do have to RSVP them. The venue is the JCC in Manhattan, 334 Amsterdam Avenue, New York 10023, and the event is being put on by the Balassi Institute. Revisit the music of Louis Armstrong and Joe Murányi as interpreted by the cream of today’s trad jazz scene! Joe Murányi (1928-2012), affectionately called “Hungarian Joe” by his bandleader, the great Louis Armstrong, was not just a traditional jazz clarinetist extraordinaire, but a record producer, activist and jazz writer. Born to Jewish Hungarian parents, his legacy is a testament to the cultural impact of immigrants of Hungary to the United States. Joe Murányi was legendary for his skills and his kindness, no wonder that an all-star line-up of traditional jazz players has come together to commemorate him. Performing their tribute only once in New York, catch the great Scott Robinson, US Jazz Ambassador, collaborator on two Grammy-winning albums, Jon-Erik Kellso, Matt Munisteri and Pat O’Leary with Béla Szalóky, standout trombone and trumpet player for the the world renowned Benkó Dixieland Band, one of the several “ambassadors” of Hungarian jazz making a visit to NYC. You will notice that the band is a version of our beloved EarRegulars, and it is a rare chance to hear them in a concert setting. I’ll be there, but I take up only one seat — which means there might be room for more of the faithful. Imagine an interval where the band plays that 1929 pop hit, LIVE FOR TODAY (But Think of Tomorrow). To think too much of September 2015 would be to rush away the joys of spring and summer to come, but it’s always nice to make plans, to have something rare to look forward to. So I urge you to make a small space in your thoughts for the second annual Allegheny Jazz Party — taking place September 10-13, at the Inter-Continental Hotel and Conference Center in Cleveland, Ohio. I was a very happy audience member (and camera-operator) at last year’s event, which was just like the hallowed Jazz at Chautauqua . . . but even better — under the benignly serious guidance of Nancy Griffith and Nancy Hancock. The musicians? How about Duke Heitger, Jon-Erik Kellso, Randy Reinhart, Andy Schumm, Harry Allen, Dan Block, Ken Peplowski, Scott Robinson, Bill Allred, Dan Barrett, Howard Alden, Marty Grosz, Ehud Asherie, James Dapogny, Mike Greensill, Rossano Sportiello, Jon Burr, Nicki Parrott, Frank Tate, Ricky Malichi, Pete Siers, Hal Smith, Andy Stein, Rebecca Kilgore, Wesla Whitfield, the Faux Frenchmen. Our friend Phil Atteberry will be giving a morning talk on the music of Cole Porter. For more information, visit the AJS website, or call 216-956-0886. And if you’re like me — an eager early adopter of such things, the Inter-Continental Cleveland Hotel is at 9801 Carnegie Avenue . . . and there is a special rate of $189 per night plus tax. (It’s a very comfortable hotel, I assure you.) Call 855-765-8709 and mention the Allegheny Jazz Party or Group Code YON to receive the special rate. In my deepest jazz self, I hold to what I would call the Condon aesthetic: that nothing beats a group of like-minded musicians assembling for a common purpose — creating swinging lyrical improvisations — on the spot, with no arrangements, nothing more formal than a mutually agreed-upon song, tempo, key, and perhaps someone volunteering to play lead in the first chorus. After that, the players live utterly in the moment. Sometimes this freedom makes for collisions, but more often it results in the kind of pleasure one lives for, the moments when the tight collars have been unbuttoned, the painfully fashionable shoes have been kicked off. Last September, at the Allegheny Jazz Party (debuting with great success in Cleveland, Ohio) these impromptu delights happened many times in the three-day banquet of sounds. But one session has remained in my mind as a high point of playful unfettered collective improvisation — a trio set led by Dan Levinson, clarinet and tenor, with two of The Singular Elders, Bob Havens, trombone; Keith Ingham, piano. The combination of a reed instrument and trombone works beautifully but isn’t often attempted these days. There were bebop precursors and swing ones, but the tonal ranges of the two instruments are delightfully complementary. The trio of piano and two horns requires a certain orchestral approach to the piano, although I am sure that Monk or Herbie Nichols would have done splendidly here, too — but Keith is a full band in himself. Thank you, Messrs. Dan, Bob, and Keith. And, although it’s only January, the 2015 Allegheny Jazz Party is a sure thing for September 10-13, with a delightful lineup (although there is the asterisk that indicates “All programs subject to change”: Duke Heitger, Jon-Erik Kellso, Randy Reinhart, Andy Schumm, Harry Allen, Dan Block, Ken Peplowski, Scott Robinson, Bill Allred, Dan Barrett, Howard Alden, Marty Grosz, Andy Stein, Ehud Asherie, James Dapogny, Mike Greensill, Rossano Sportiello, Jon Burr, Nicki Parrott, Frank Tate, Ricky Malichi, Pete Siers, Hal Smith, Rebecca Kilgore, Wesla Whitfield, Faux Frenchmen. To keep up to date with what’s happening at the AJP, visit here.